Although Easter was a few weeks ago. Inspiration has struck. The times of revelation has remade many tourist traps and enspelled them: for good or for ill. Writers note: Part of the reason I love doing these is to showcase some of the more unusual attractions in the world. Besides using this in your game, it’s always fun to actually visit this and future places presented in these articles. So we would like to present the following. In 1929, an artist by the name of Paul Maxum Sembaliuk designed this giant Pysanka. However, the design sat on the shelf for decades until it it was one of the first statues designed using computer design. 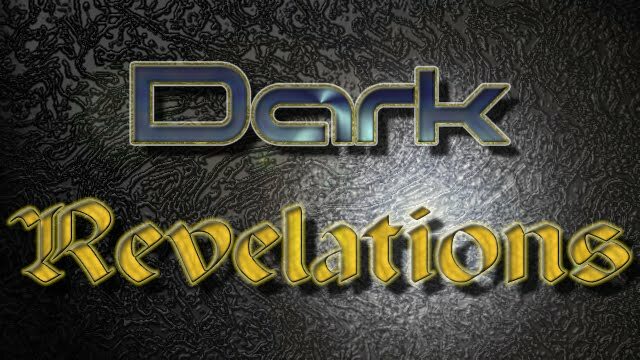 When the time of revelations occurred, it “awakened.” It started slowly, and was barely conscious of the world around it. But little by little, it gained sentience. As a symbol of prosperity, it grew plants at an alarming rate. The thicket of vines stretched not only within the former town, but also sent out “astral vines” into the Dreamtime. 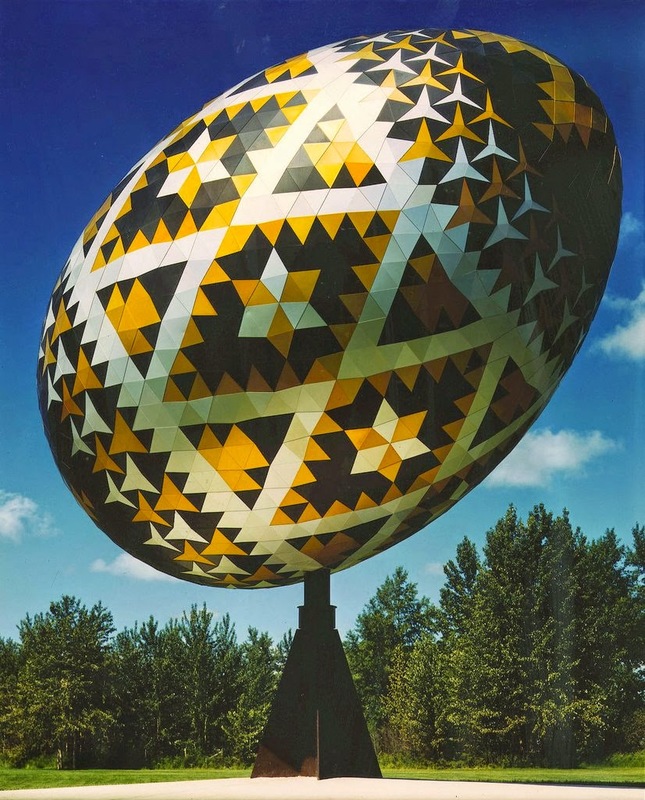 The Pysanka is a giant sculpture of a giant colored egg. It was the largest Pysanka in the world before the times of revelations and it is believed that none surpass it at this time. The egg is 31 ft. (9 m) long and three and a half stories high, weighing in at 2.5 tons. Every so often it crackles with blue-white energy. · The colours of bronze, silver and gold symbolize prosperity. · The three pointed stars alternating in gold and silver represent devotion to the faith of ancestors which includes itself as the ultimate ancestor. · The Gold and Silver windmills originally represented the rich harvest. It now represents the Rich plant life that the Pysanka now creates. Special Usage: This magical effect is like fertilizer for plants. It allows fast healing 2 to all plants within a 30 foot radius. This causes normal plants to grow like weeds, but decreases the further you go from the plant. Other Rules: A creature that can make a successful knowledge occultism check (DC = the CR of the party) can use it to restore either 3d6 spell points. It can also be used to recharge 1d4 psychic points using a knowledge: parapsychology check. This can be done 3/day but every future attempt adds +2 to the DC. If the character has the plant-kin template (See Book of Arrogance), they can use the knowledge check to heal crx2 hit points. It also acts like a Weather Vane. The Situation: A series of Mercenaries (Mooks) have quarantined off the Psyanka and are itching for a fight. They have brought in a spellcaster to harness the energy of the egg. · All of the Mooks are plant-kin (see the upcoming Book of Arrogance) and will heal from the Pysanka’s power. They could have been created by the harvesters or by the Pysanka itself. · Alternatively, all the local farmers are plant-kin and the mercenaries are trying to stop their infestation. The Pysanka area of effect is growing at an alarming rate and the mercenaries were hired to cut it off at the chase before it expands to cover the entire province. · The ritual is an attempt to corrupt the egg into a nightmare which will change its power from heal to harming. Once the ritual is completed, it will entities will flock and make it a dark place indeed. · If one of the plant minions successfully grapples the party, it will gift wrap it and use its astral vines to teleport it somewhere else on the planet and/or send the character to a dimensional pocket. The later might be within the egg itself. · If the party convinces the egg, it will open the route in the dreamtime to transport the party somewhere else. For the plants, Fierce Ficus, Hogweed Goliath, Kabbage Roll, Storm Maize, and heck even a Damnation Eater if the party is a high enough CR.